Welcome to 2014. To start off the New Year, Dawn Dyson, the author of the Beautiful Justice Trilogy, is visiting with us. Dawn writes edgy Christian fiction, and although that genre is not one I usually read, I've found myself intrigued with the premise of her novels. They tackle themes that range from romance to substance abuse. It's dramatic. It's touching. And it's got a good dose of moral fiber to hold it together. Who knows? It might end up being your next favorite read of 2014! Hello, Dawn! Please introduce yourself. 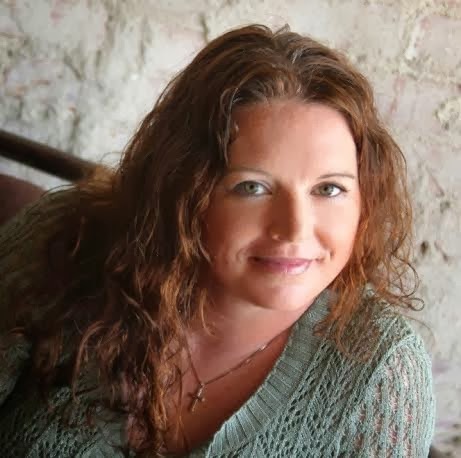 My name is Dawn Dyson and I write Christian Fiction with a bit of an edge. My background is in Special Education with emphasis in Behavioral Disorders and I wanted to write fiction that could offer spiritual visualization for a better life. I write to elevate the soul to taste life as God would have us live it. You're known for writing the Beautiful Justice Trilogy. What's the storyline there? This trilogy follows an unlikely family through their God-ordained journey to help the world and save souls during their time here by the use of their unique gifts. It's both challenging and uplifting to read. I believe these characters find their way into the reader's heart and almost become real. The tagline on your website is "Fiction that leads to Truth." Can you explain? My ultimate goal is to write for God because I firmly believe He grants each of us with a gift that we are destined to use for His glory. Everything I write is prayed over and I study the Word of God throughout my fictional, creative process. I want to provide people with inspirational role models in my characters because, "As a man thinks in his heart, so is he." The human spirit is built to overcome and I hope many people are finding this series to be a stepping stone on their journey "up". I came across another one of your novels, Mercy Sky. What's that about? Mercy Sky is the first novel I wrote, mostly to prove to myself I could actually weave a story. It's historical fiction around the time of the Civil War and is based on true events. It's unedited because, as I said, I wrote it mostly for myself, but many people like it anyway! What inspires you to write? What's the driving force behind your creativity? The Holy Spirit is inspiration. In fact the word "inspiration" means to be in the Spirit. The Spirit or Soul of God, seems to channel enjoyably through creative elements in this world such as writing, art, music, architecture, and so on, as through any job we do to help others or brighten our world. It's a God-wink when we find what we are passionate about and let Him take the reins of the thing. Once that happens the ride is never boring. He is the SOURCE of LIFE. It truly doesn't get any better than that! Who inspires you to write? What other authors do you admire? I like Joyce Meyer's books and her television program, Enjoying Everyday Life. I'm currently studying Matthew Henry's writings. As far as fiction, I like the classics and have found similarities in style to George MacDonald. Do you have a certain writing routine that you follow? How do you produce pages and word counts? Actually, my main focus is Bible study, so that comes first. And I sometimes take up to three years between writing projects just to grow as a person and to prevent burn out. Writers need to give themselves the breathing room and permission to live life, not just always write about life. Living is real research. What is your advice to aspiring authors and young writers? Know God because He knows everything about you. He did before you were born. He will bring you to yourself and make plain and clear your path, as to what you should contribute to this world during your stay. And not just in writing but in every other area as well. Thank you so much for your time, Dawn!! Have a wonderful week! throughout each of her works. She encourages others to find their passion in life, link it with God's and then share it with the world. Connect with Dawn on her Website.